In the Heir Trilogy, each Weir is given a stone at birth that is placed next to their heart. The stone that each Weir places them into one of five guilds- warriors, wizards, enchanters, sorcerers, or seers. These magical guilds are controlled by 'houses'- the White Rose and the Red Rose- which have complete control over all the guilds and The Weir. 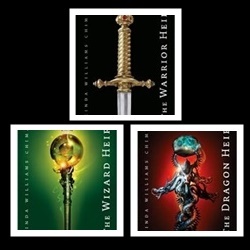 The first two books in the series- The Warrior Heir and the Wizard Heir are written from the perspective of two separate characters- Jack and his cousin Seph. 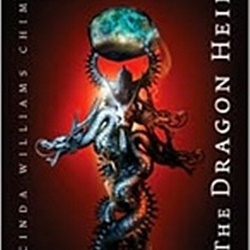 The third in the series- the Dragon Heir- contains characters from both of the first two installments. 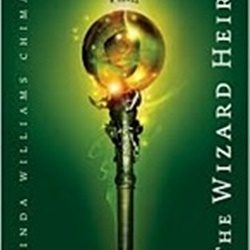 Cinda Williams Chima recently announced plans to expand upon the original three books in the heir trilogy with two more books for which possible titles include both the Sorcerer Heir and The Enchanter Heir. Before he knew about the roses, sixteen-year-old Jack lived an unremarkable life in the small Ohio town of Trinity. Only the medicine he has to take daily and the thick scar above his heart set him apart from the other high schoolers. Then one day Jack skips his medicine. Suddenly, he is stronger, fiercer, and more confident than ever before. And it feels great-until he loses control of his own strength and nearly kills another player during soccer team tryouts. Soon, Jack learns the startling truth about himself: he is Weirlind, part of an underground society of magical people who live among us. At their help sits the feuding houses of the Red Rose and the White Rose, whose power is determined by playing the Game-a magical tournament in which each house sponsors a warrior to fight to the death. The winning house rules the Weir. 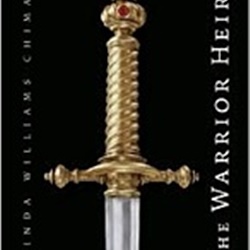 As if his bizarre herritage isn't enough, Jack finds out that he's not just another member of Weirlind-he's one of the last of the warriors-at a time when both houses are scouting for a player. Sixteen-year-old Seph McCauley has spent the past three years getting kicked out of one exclusive private school after another. And it's not his attitude that's the problem: it's the trail of magical accidents-lately, disasters-that follow in his wake. Seph is a wizard, orphaned and untrained, and his powers are escalating out of control. After causing a tragic fire at an after-hours party, Seph is sent to the Havens, a secluded boys' school on the coast of Maine. Gregory Leicester, the headmaster, promises to train Seph in magic and initiate him into his mysterious order of wizards. But Seph's enthusiasm dampens when he learns that training comes at a steep cost, and that Leicester plans to use his students' powers to serve his own wicked agenda. The covenant that was meant to keep the wizard wars at bay has now been stolen, and the sanctuary of Trinity must prepare for attack. Seph monitors the Weirwall, while Jack and Ellen train their army of ghosts to face an onslaught of wizards. Even Anaweir Will and Fitch are setting traps around the town's perimeter. To Jason Haley, it feels as though everyone but him has a role to play. Then he finds a powerful talisman-a huge opal called the Dragonheart-buried in a cave. When its power washes over him, he knows he's destined for a greater purpose than anyone ever imagined. Madison Moss hears the seductive call of the Dragonheart also, but she has other things on her mind. Maddie's been leaking dark magic ever since absorbing the blow that was meant to kill her boyfriend, Seph. If anyone finds out, she'll be banished from the sanctuary-and Seph-forever. Meanwhile, Trinity's enemies mean to win the war with the help of the Dragonheart, and they know that Madison Moss is the only one who can get it for them. Moral compasses spin out of control as a final battle storms through a town that was meant to be a refuge. With so much to lose, what will Jason and Maddie be willing to fight for-and what will they sacrifice? It's everyone for himself in this thrilling conclusion to the Heir trilogy.